Flat roof structures are generally not designed to withstand heavy objects for long periods of time. 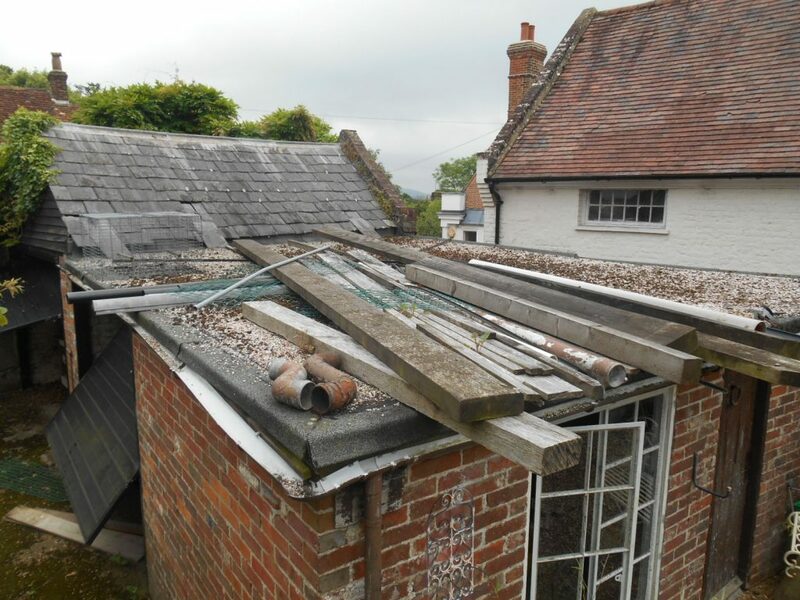 The excess weight on the roof will put strain on to the structure and could potentially cause defects. It is good working practice to keep all roof surfaces clear of heavy objects and vegetation to help prolong its lifespan. This photo was taken during a Full Building Survey in Westerham, Kent. At Brian Gale Surveyors we have over 25 years’ experience providing Full Building Surveys and other property surveying services across the South East. Call us today on 01737 245947 or fill out the contact form on this page for a free quote.